It’s not uncommon to see stories of women talking “bravely” about how they chose to abort their baby with a disability. They’ll usually say the same things: they didn’t want their child to suffer. This was kinder, as their quality of life would be so poor. I didn’t want to burden my other children. I couldn’t handle it. The latest example is Joy Freeman’s article about her decision to have a late-term abortion… all because the baby had spina bifida. In her own words, she chose not to fight for her son. It’s truly sad she wasn’t told – or didn’t listen to – the many stories of beautiful children who live with spina bifida. One thing that kept me going through the moral conundrums was that my partner – my son’s father, the love of my life – was so certain that termination was the right thing: for us as a couple, for the child, for our son. He put all my doubts into context, supported me and was forthright in his opinion that we were still the same people despite what we had done. When we first received the diagnosis, I could feel the baby inside me and felt treacherous at every movement that signalled that life was still there. I had mentally ended it days prior to the procedure. I was a mess. It would be interesting to know if Freeman and her partner actually spoke to anyone with spina bifida, to find out firsthand if they felt their lives were so horrible that it would have been better if they had just been aborted. Another option would be to talk to parents who have children with spina bifida. She might just be surprised at what she found out. Brittney Baumgartner was pregnant with her first child when, like Freeman, she found out that there were fetal abnormalities at 20 weeks. In this form of spina bifida, the spinal cord actually protrudes through an opening. 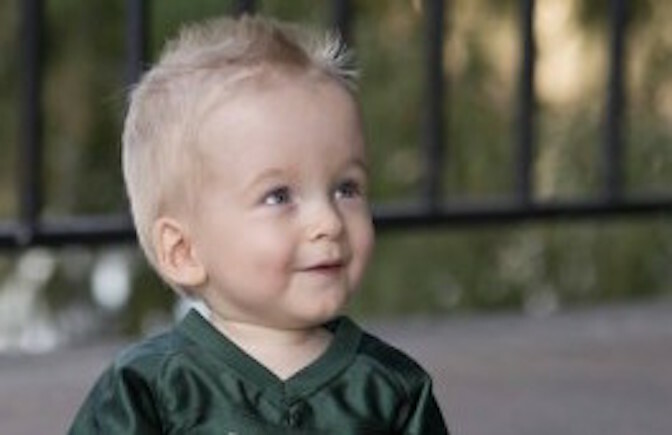 Most children with this form of spina bifida also have fluid on their brains. But while there are physical limitations, people with spina bifida can lead full lives. The vast majority grow to adulthood, have normal intelligence, and are even able to play sports. Still, receiving a disability diagnosis is always hard. Through support groups and other spina bifida families, they were able to find acceptance and peace. Just ten weeks later, at 30 weeks, Oliver was born. 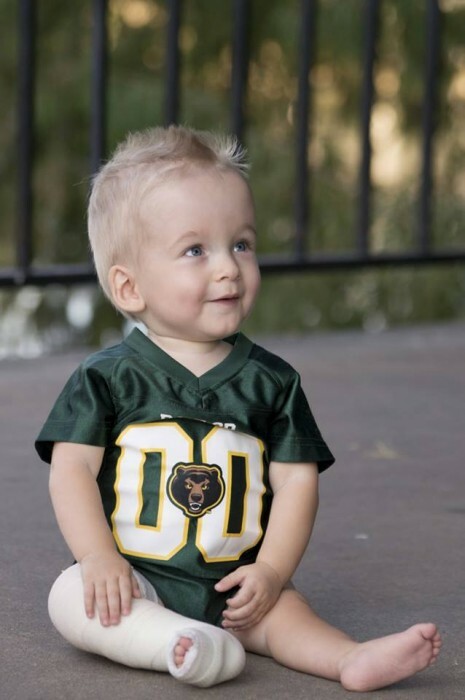 He spent 45 days in the NICU, and surgery did have to be performed. “This included surgery at 1 day of age to close his open back lesion and place a reservoir in his head to drain the excess fluid (hydrocephalus),” Baumgartner explained. “Once he gained enough weight, he had this reservoir removed and had his permanent VP shunt placed. He has also gone through serial casting of his legs for his clubbed feet. He had his fourth surgery then, which was a tenotomy of his Achilles heal. This released the tightness, allowing his foot to move freely.” They also had to undergo testing, but since then, she said things have calmed down, and have moved to follow-up testing, rather than checking for new issues. As for what raising a child with spina bifida is like? “I can tell you first hand that this is far from the truth,” she said. “My son has broken every boundary set on him. He has learned to crawl, when doctors told us he probably would never sit up on his own. He spoke his first words and even picked up sign language. He may be smaller than most kids his age, but he has a great quality of life.” Not only does she say he’s never suffered, she calls Oliver her Superman. And there’s more good news for the Hinkleys: not only will they be getting married soon, they’re pregnant with their second child together. Even though they knew they are at higher risk for another baby with spina bifida, they still wanted to add to their family. Raising a child with spina bifida will come just as naturally as if your child had no diagnosis at all. Things may seem overwhelming and so foreign when receiving the diagnosis, but things are so clear once your child is here. Doctors can only give you the medical jargon for spina bifida. It’s up to you to keep the hope and love for this child that has been put in your life. I have changed for the better since having Oliver. I am his spokesperson until I can teach him to speak for himself. I can’t imagine life without him [or] if I had chosen to end it before giving him a chance to shine.